Soft-Ride horse hoof boots are great to use as a horse stable boot because they protect hooves on hard surfaces, promote natural blood circulation and are a great alternative to expensive stall mats. When your riding boots come off, your horse’s Soft-Ride boots should go on. Help ensure that your horse is rested and ready to compete, even after spending hours in a concrete stall. Concrete stalls are less than conducive for optimal performance. 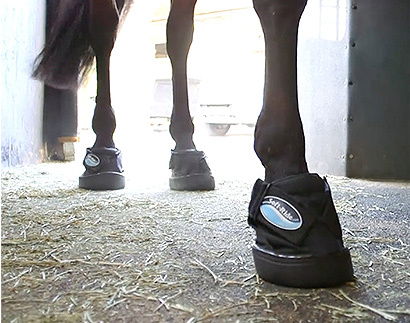 Soft-Ride comfort boots and deep gel pads help keep your horse comfortable when he’s standing in confined spaces. If you had to stand on a hard floor for 12 hours, wouldn’t you rather do so in a pair of comfortable shoes? 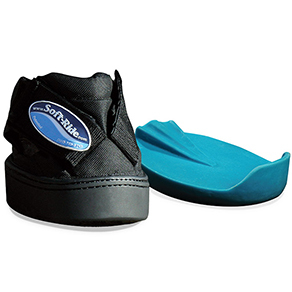 Soft-Ride’s horse hoof boots are like comfortable shoes for your horse. They help ensure that your horse is rested and ready to compete, even after spending hours in a concrete stall. "At the shows it's hard to keep enough shavings under them to keep them comfortable. There was a noticeable difference. The horses were comfortable and relaxed, and they felt fresh. When you get to a horse show, you can't start off with a horse that is already tired..."
Reduce the risk of hoof injury by protecting your horse's feet from hard surfaces, stones and other debris. There’s danger lurking everywhere for a horse’s hooves: in pastures, parking lots, paddocks and stalls. Most concrete and asphalt surfaces have lots of stones, dirt, and other debris that can damage you horse’s sole. When you’re not riding your horse, Soft-Ride’s hoof boots should be worn anywhere your horse stands or walks to prevent inadvertent injuries. 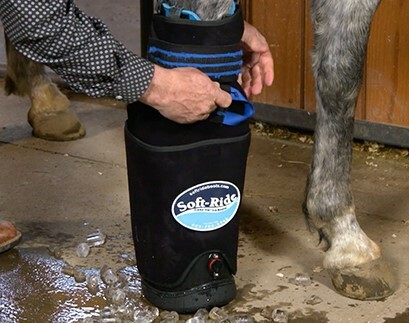 "All my horse wear Soft-Ride Boots almost 100% of the time..."
Soft-Ride horse boots provide support that makes it possible to reduce or eliminate the use of stall mats. Soft-Ride’s horse hoof boots provide go-anywhere comfort and protection for your horse, and can eliminate the need for stall mats. Eliminating mats makes cleaning and maintaining your stalls much easier and faster. When you do clean your stalls, be sure to empty the debris out of your horse’s Soft-Ride boots each day, and give them a quick wash once a week. "Anything I can do to keep them comfortable, I’m going to do it, and a big part of it for sure is the Soft-Ride gel." Walking through paddocks and parking lots can be a surprisingly dangerous activity for your horse. Most concrete and asphalt surfaces have lots of stones and other debris that can damage the sole or frog of your horse’s foot. 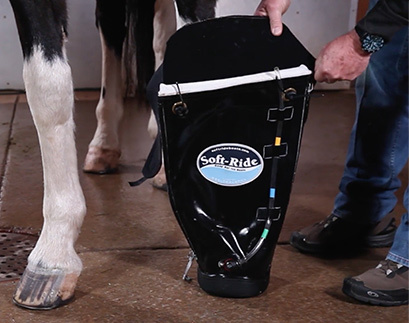 Soft-Ride’s horse hoof boots help prevent injuries to the hoof and the tender area inside the hoof. "I find myself using Soft Rides the most in the trailer and when I get somewhere on the hard ground. The compression, the compaction, the jarring, the jerking, of the trailer - it takes a beating on their legs, and the Soft Rides protect my horse from all those things." If you’ve ever walked barefoot across a beach in the summer, you know how painful hot sand can be on the soles of your feet. The same holds true for horses walking across a parking lot. The summer sun can heat asphalt to well beyond 100 degrees F, which can damage the sensitive skin on the bottom of the foot. 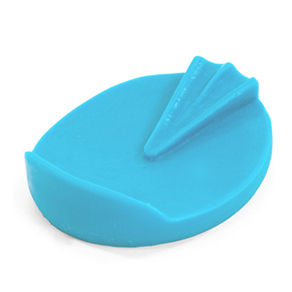 Project your horse’s feet from the heat with Soft-Ride horse hoof boots. "We've noticed less fatigue with our horses..."